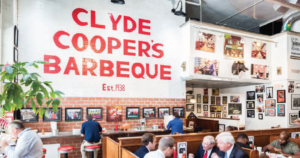 “My grandmother was the type of cook that didn’t put everything in something, but what she did put in there was choice,” said Debbie Holt, owner of one of Raleigh’s classic restaurants, Clyde Cooper’s Barbecue. Holt’s desire to share her quality sauces led her to NC State’s Entrepreneur Initiative for Food (EI4F), a program with resources that enables her to expand her sauces nationally. It all started eight years ago when she decided it was time for her rib sauce to be available beyond the doors of Cooper’s kitchen. After discovering the EI4F through a Google search, Holt took her famous rib sauce to the team to test for shelf-stability and gather nutritional information. 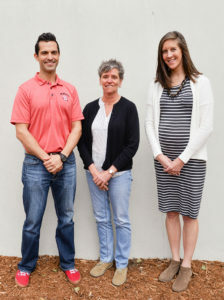 Through the years, Holt has successfully launched a variety of sauces and rubs, each one with the help of NC State’s team of food scientists. Services include product testing and processing recommendations, an online acidified foods manufacturing course, evaluation of nutritional information and an extensive list of online resources. 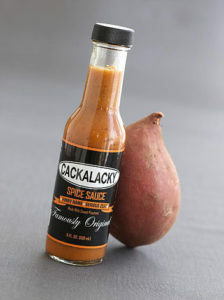 EI4F has served many popular North Carolina food brands in addition to Clyde Coopers, including Cackalacky, Nellino’s Sauce Co. and Cloister Honey. They provide an invaluable service for a great value and it just makes entry into the marketplace for mom-and-pop-preneurs like Caroline and me possible. Neal McTighe, founder of Nellino’s Sauce Co., benefitted from EI4F’s extensive library of online resources for food entrepreneurs. McTighe remarked that the information about how to start a food business on the program’s website was instrumental in helping him fulfill his vision of creating distinctive, high-quality Italian sauces. 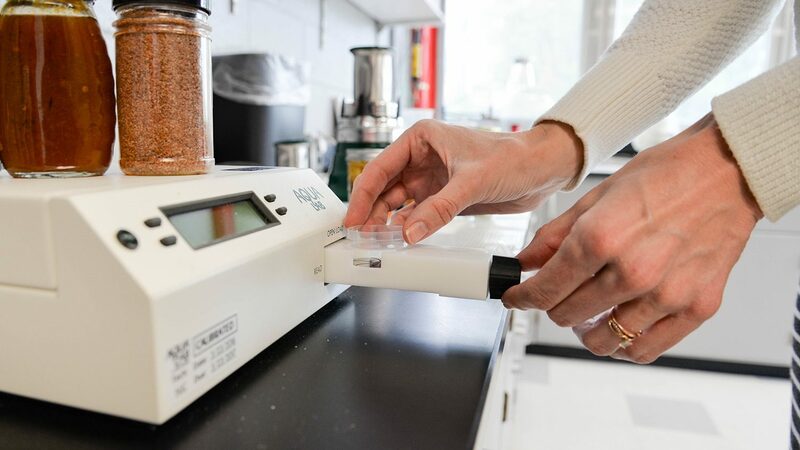 “I felt confident that I had followed a reputable course to make sure that I didn’t have to second-guess my ingredients, the process to make my products safely, and the nutrition facts on there,” McTighe said of his experience working with the EI4F. Since its launch in 2010, Nellino’s Sauce Co. has made its way into hundreds of grocery stores nationwide. McTighe credits NC State with being an integral source his product validation, helping him ensure quality ingredients, safe production processes and accurate nutrition labeling. Many food entrepreneurs have also benefitted from the hands-on team behind EI4F. Entrepreneur Joanne de la Rionda started her honey business, Cloister Honey, over eleven years ago with a mission: making honey products for people who don’t like honey. “I absolutely love the team [at EI4F],” said de la Rionda. “They have a really good turnaround, but more importantly, not only the results that I get are nice, formal, professional results, but also they’re available for me to talk to.” As Cloister gained in size and momentum with products carried in over 700 stores, de la Rionda remains people-centric in her approach to business. “We know every single customer, we’ve touched every single bottle,” she said. For many who have worked with the EI4F, it is that same people-centric commitment that makes Fragedakis and his team such a valuable resource. When asked what piece of advice they would offer to prospective food entrepreneurs, Holt, Skelton, McTighe and De la Rionda all agreed: “go see the team at NC State.” Their stories are just four of hundreds who have found the EI4F to be a necessary part of their entrepreneurial journey in the food space. For more information about the Entrepreneur Initiative for Food or to access their online resources, visit their website. 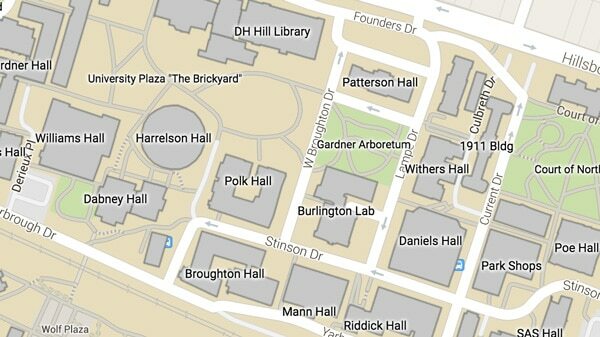 Nick Fragedakis, Allison Sain and Anna Zielinski can be reached directly via foodbusiness@ncsu.edu.